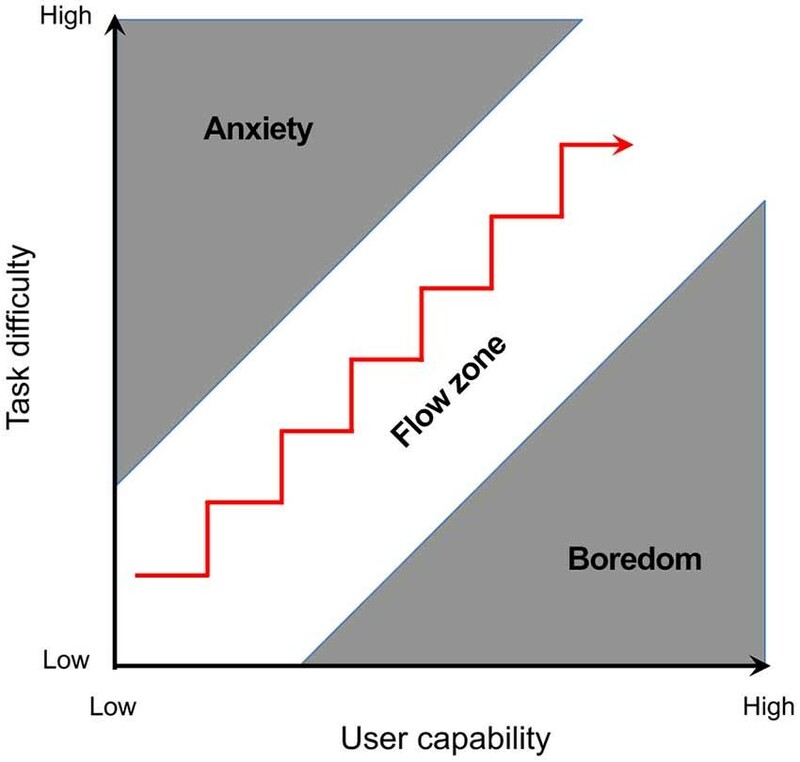 What is Flow, and Why Do we Need it at Work? Flow psychology is one of the main concepts behind employee engagement in Positive Psychology theory. First researched and coined by Positive Psychology co-founder Mihaly Csikszentmihalyi, flow has gained a lot of attention in recent years because of its powerful personal and organisational benefits. In this article, we will share what flow is, the benefits of increasing flow at work, and how to increase flow experiences. Have you ever felt as if you lost time and your mind stopped analysing and planning while you were doing something you loved and valued? That was a flow experience. Flow is a unique state of high motivation, achievement, and satisfaction in what you are doing without external motivators or a perceived reward. Flow is the unique state that can be reached through the healthy balance of challenge and skills. Have a look at this image. If we are over-challenged and under-skilled we become anxious. However, if we are under-challenged and over-skilled, we become bored. Flow is the perfect “sweet spot” where our skills and our challenge meet. The extensive studies exploring the effects of flow for individuals and organisations have found some positive and powerful benefits to this “sweet spot” state. From the brain perspective, two things happen when we are in flow. Firstly, there are five different neurotransmitters that are released into the system when we are in flow. Each of these contribute to the flow state being innately pleasurable, rewarding and motivating. Secondly, when we are in flow, we have reduced prefrontal activity (the part of our brain responsible for self-consciousness, self-doubt, and time awareness) which means that while we are in flow we are able to turn off our inner critic, forget about our other pressures, remove time urgency, and “be in the moment” with what we are doing. Now that you have a better understanding of what flow is and how it can benefit the individual and the company in powerful ways, we’re ready to introduce some methods on how to increase flow experiences at work. This is an important statistic to consider when thinking about flow. The workplace can be a conductive environment for flow because it already has some key components needed such as clear, structured goals, immediate feedback, and challenges that require a high level of skill to complete. 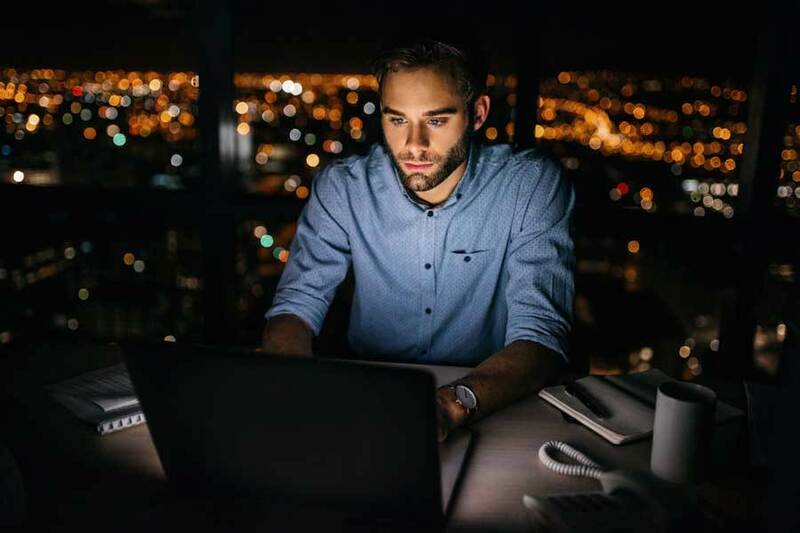 There are many factors at work that prevent flow experiences, including high levels of occupational stress, poor role clarity, a lack of immediate and specific feedback, or a negative attitude towards one’s work. While an organisation cannot be responsible for many of the individual differences needed for each team member to experience flow, there are some general guidelines that can make your office more conducive to increased flow experiences. In recent years, the “bullpen” structure has become more popular for workplaces because it encourages collaboration, information sharing and social bonding, however this nature of working is not conducive to flow. In order to go into a flow state, one needs to be uninterrupted, undisrupted, and able to concentrate. If your organisation enjoys the “bullpen” office layout, then a good idea is to have a quiet zone where people can go to get into flow. Or perhaps look at having sectioned areas where people can do teamwork or individual work. Sensory deprivation can also help to increase flow states, so become aware of the noise, visual stimulation, and the amount of movement in your office. If there is a constant change in the sensory pace of the environment, it makes it almost impossible for people to go into flow for long periods. Another consideration is the physical comfort of your employees. When we are uncomfortable (ergonomically, changing desks regularly, or next to the toilet) we are less likely to get into flow as we will be distracted by the desire for more physical comfort. If the body requires attention, the mind will step out of the flow state back into the prefrontal cortex to analyse. Flow states require immediate and direct feedback, whether this is from the task itself, management, or team members. The best way to ensure that this happens is to have a communication system in place which provides immediate feedback on completion of the task (an app which gamifies validation is a fun and progressive example, however it may be as simple as a quick daily check-in with each team member). Another consideration in order for people to go into flow is for them to have fewer distractions – a culture of immediately responding to emails, urgent phone calls, and constant damage control are just a few examples of how your office culture can break down the chances for flow at work. A flow state is the optimal state of human functioning where challenge, skill and intrinsic motivation meet. A sure-fire way to enhance performance, boost employee engagement and increase company outputs is to encourage more flow experiences at work. While this is an individual process, there are certain physical and social strategies to consider which can boost the number of flow experiences employees have at work. We hope you have learnt something new from this article, and welcome your questions and feedback on how this influences the flow states in your organisation.